You can download the apps to your phone at no charge to start your car. The app is protected by your own pin or password so no one but you or your loved ones can use it to start your car. The Drone will work with Compustar remote start systems made by Firstech. 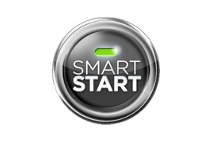 And Smart Start will work with Python remote starts by DEI. Since we carry both these systems are on display in our showroom. 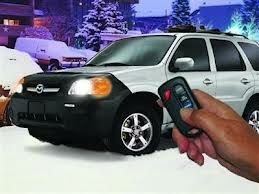 Installation is critical for a car security or remote start system. As a result it actually makes up a significant portion of the total price. 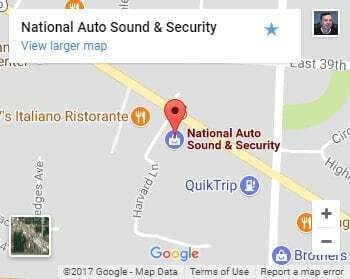 On today’s computerized vehicles it takes exact technical information to install properly. Also the correct interface module programmed with the right software is necessary. Ultimately experience and skill to know what to do and the right equipment all make the difference. Each make, model and year of car can be different. When you purchase a vehicle security system or remote start from us, you are getting the benefit of our staff’s combined 100 years of technical expertise. 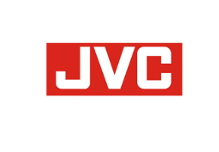 We have the ability to service technical issues after the sale – our warranty. After all, all shops are not the same. Wouldn’t you rather have experts like us service your vehicle? Isn’t it worth shopping with the best? 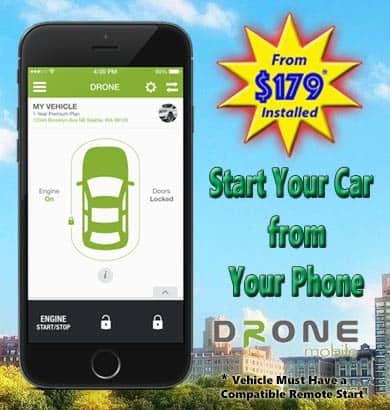 *$379 price includes Drone Mobile + Remote Start Combo Package Installed. Actual installed price can vary with vehicle depending on whether added parts are needed for immobilizer bypass or if there are any installation up-charges for your vehicle. 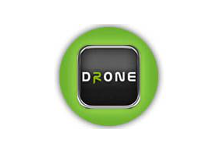 Drone Mobile requires a separate once yearly payment of $50 or $5.99 per month to Firstech to administer the cost of the Drone Mobile program for cell coverage and unlimited use of the Drone Mobile app. This cost not included above.